Like a scene from a Stephen King horror flick, a surveillance camera in a Sarasota, Florida parking lot, captured footage of a squirrel viciously attacking a man who was simply walking to his truck. 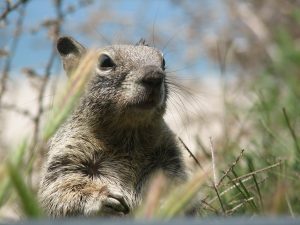 The Florida man, who posted news of the attack on Facebook, suffered scratches and bite wounds on his arm and elbow after the squirrel, a local house pet, attacked him for no apparent reason. After the attack, the man chased the enraged rodent down with a BB gun and shot it more than ten times without being able to kill it. The man later told the local news and authorities that the injured squirrel is still at large, urging the locals to be on the lookout for the ferocious rodent. Meanwhile, the Center for Disease Control and Prevention reports that house pet such as squirrels, ferrets, hamsters, guinea pigs, etc. are rarely infected with rabies and pose no infectious threat to humans. Nevertheless, no matter the type or size of the animal, it is always safer to look but don’t touch if you wish to avoid being attacked and suffer bodily injury. Animal attacks are an increasingly common occurrence in Miami and throughout the entire state of Florida. Nationwide, almost five million people are attacked by pets; with many of those victims being children. The injuries from an animal attack can range from scratches, severe flesh wounds, and infections that may lead to Wrongful Death. Under Florida law, a pet owner is responsible for the damages caused by the animal. The extent of Personal Injuries from an animal attack may be immediate, but many times they can result in an extensive healing process, which represent medical expenses and lost wages. 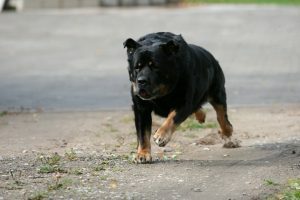 Perazzo Law reminds animal attack victims that severe flesh wounds that lead to disfigurement or scarring can be considered a permanent injury, which can constitute for a substantial sum in compensation through a personal injury claim. Avoid approaching an unsupervised animal even if you consider it to be domesticated or harmless. Avoid direct eye contact with an animal regardless if it seems harmless. Avoid direct physical contact with an animal regardless whether or not it seems harmless. Inform an authority figure such as security or call emergency services to handle the situation. If you, a family member or loved one has suffered personal injury as a result of an animal attack, we encourage you to call us at (786) LAWS-411 or Contact us online to set-up a FREE consultation to discuss your legal rights for compensation from an animal attack situation. See Animal Attacks for more info. THE PERAZZO LAW FIRM – DEDICATED TO PUTTING YOUR INTERESTS FIRST, ALWAYS!